Villa Siena is a popular destination for couples who are getting married. It is located in Gilbert, Arizona, southeast of Phoenix, but within the Phoenix metropolitan area. This is an elegant villa with the feel of Italy, which is a main inspiration for the Tuscan design of the architecture that is seen here. Stepping onto the grounds, you will feel as though you have been transported to the Italian countryside Warm golden hues on the exterior of Villa Siena remind one of the old Tuscan villas. Exquisite courtyards and gas flame lanterns light the way in the dusk of the evening and provide a perfect romantic venue surrounded by fountains, cherubs, and benches. Planning a wedding yourself often requires a bit of creativity, resourcefulness and knowledge about the local area. DIY wedding resources are plentiful online, which come in handy when you’re not using a wedding planner. Whether it’s finding places like Villa Siena to get married, finding an official for the ceremony, DIY resources for printing your invitations, nearby hotels for your relatives and guests or creative ways to decorate for your special day, the internet as well as local resources are a great place to find what you’re looking for. 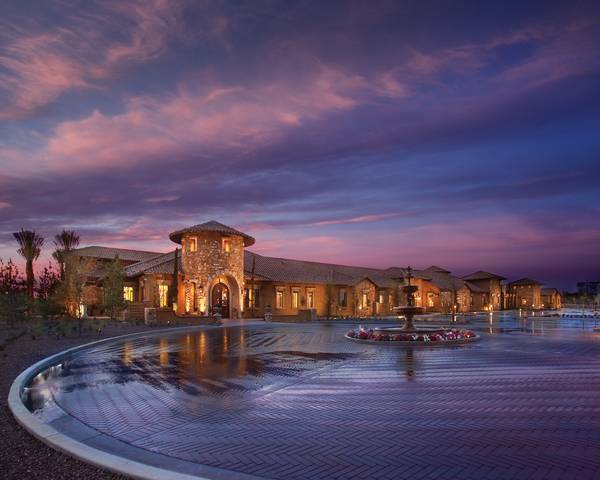 The Hampton is located off Loop 202 and the San Tan Freeway only 1.8 miles from Gilbert. This hotel is within the historic district and has 98 rooms that feature microwaves and refrigerators. They provide wireless Internet and the rooms have flat screen televisions with cable programming. There are nearby stores and the hotel has gift shops, a fitness facility and an outdoor pool. They provide shuttle service within a five mile area of the hotel. This hotel is affordable for most and they have a low price guarantee. Located in Gilbert, Hyatt Place is near Big League Dreams Sports Park. It is 1.9 miles from Gilbert. The hotel has 127 rooms and provides complimentary Internet. The rooms have refrigerators and flat screen televisions with cable access. Designer toiletries and hair dryers are provided. Hyatt Place offers shuttle service within five miles and is near cafes and coffee shops. This hotel also has a gift shop. Priced for those who are on a budget, the hotel has all the amenities needed at an affordable cost. The Double Tree by Hilton provides easy access to Loop 202 and Highway 60 with the San Tan Freeway nearby. It is 2.1 miles from Gilbert. Featuring 121 rooms with kitchenettes, the hotel is slightly higher than some in the area, but is still affordable. The pillow top beds have Egyptian cotton sheets and 42-inch plasma televisions with cable programming are provided for guests. A spa, outdoor pool and fitness center are part of the amenities when staying at the Double Tree as well as a hair salon and gift shops. In nearby Mesa, the Best Western Legacy Inn & Suites is close to the San Tan Freeway and is 3.5 miles from Gilbert. They feature 110 rooms with microwaves and refrigerators. Complimentary newspapers are provided and the rooms have desks for the convenience of guests. Wireless Internet and cable television as well as gift shops, an outdoor pool, a fitness facility and is near several recreational venues including Golfland Sun Splash. This hotel is affordable although it is a bit higher than some of the others that provide the same amenities. If guests do not mind an 8 ½ mile drive, the Days Inn Mesa provides really affordable rates. At about half of the cost of other areas hotels, Days Inn has a restaurant on-site and provides complimentary wireless Internet as well as cable programming. A seasonal outdoor pool and a fitness center are also offered. They also offer continental breakfast daily. There are 61 rooms available for guests.